Korenix will be attending the Security Twenty 19 Glasgow Conference and Exhibition held by the Professional Security Magazine. The Conference will be showing the latest developments in the security business sector. Korenix will be there sharing our reliable surveillance solution. 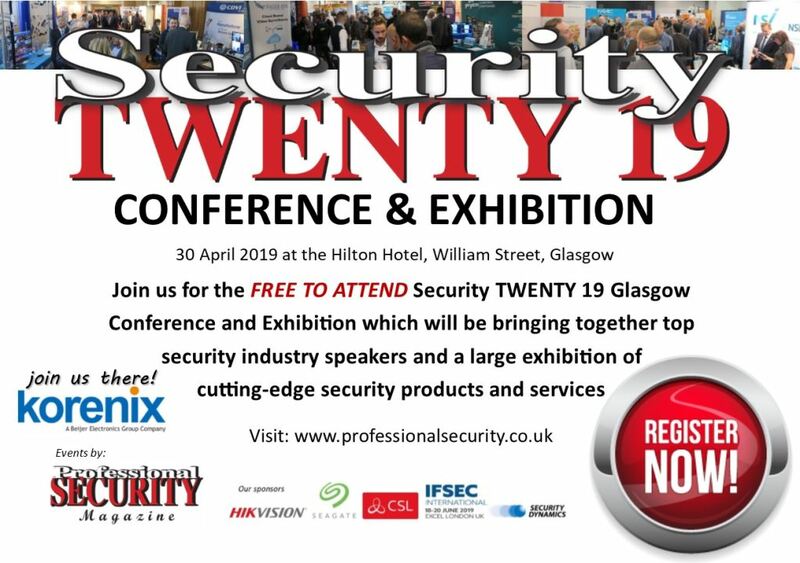 Register the exhibition for free and visit us at the Security Twenty 19 Glasgow!